Maintaining Frequency Now Signs of 5D New Earth and Time Shift Energy Collision Alert! 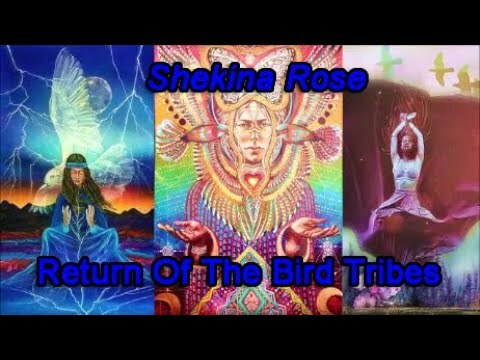 "Number sequences that appear embedded in this channel are given to Shekina Rose by spirit to activate this transmission"
Know that this has been part of your mission here on Gaia to be a Stargate channel of the Empathic Codes of the restoration of the Goddess to bring balance and forgotten ancient knowledge. It will take you time within your own personal cycle to get accustomed to this new alignment. As you continue to do things the old paradigm way to make the usual spirit connections and they are not working, this is the sign to trust in the new energies and greater divine flow. Being in a higher divine flow of expansion still means you will know what radical trust and surrender means for you. It can mean energy boundaries or greater separations or being more open where you were not before. Power down for intense bombardment of atmospheric energetic release and reboot – This can mean that the power grids will not be working properly or will be shut down temporarily, where your power, cell phones and internet will be interrupted. This can be a signal for you to stay at home for certain periods of time, take naps and rest, and to stay off the grid lines as energies, timelines, dimensions are transforming and shifting. Trust and listen to your intuition as it will be become stronger and stronger. Energy Collision Alert and intense end undercurrent emotional release! As you are shifting into the higher frequency resonance of the New Earth, the old matrix and you could collide with other energies, beings and situations. This is due to shifting time space frequencies that are still wavering back and forth. This can mean that you could almost be invisible at times to certain energies and at the same time be more visible in other realms. Be aware of the subtle energies and synchronicities that you are now able to experience, vibrations that are increasing in strength; the Earth, Sun, devic, elemental, and animal kingdoms and realms are more available to sharing and communing with you. They will be giving you invaluable information of awareness and signs of how to maneuver what is going on in the otherworlds and undercurrent energies. It will be important to be in the divine flow of your own personal rhythm vibration frequency; find it and know it within. Then, you can allow for shifting, changing and fluctuation of people and situations, and avoid getting caught up in others’ dramas. Remember, it’s their personal shift, not yours, and they will flow and change until they find their resonance field vibration. Be on alert that others could be offended by your peace of resonance as they can be shifting in energetic emotional undercurrents finding their own. They may also to try to take yours as they go through ascension amnesia of realigning with God Source. Be flexible and be aware as an ultra sensitive empath of what is yours and what is not. You will also be learning, remembering and awakening to use the time space dimensional portals and multidimensional realities to check in and to look ahead as to what serves your highest good and keeps you safe. You will know that this is happening and coming online for you when you go through periods of what you may know as déjà vu. It may be an experience or feeling that you are in two realties or dimensions at once, with the sense and feeling that your spirit is trying to tell you this a marker on your life’s journey where you can make choices that shift your destiny and purpose. You will come to grander awareness of how this works in your life as these are ancient sacred tools. Know that much shifting and astral traveling is taking place in your dreamtime. Take the time to remember your dreams and glean the wisdom, information and direction they are bringing to you. 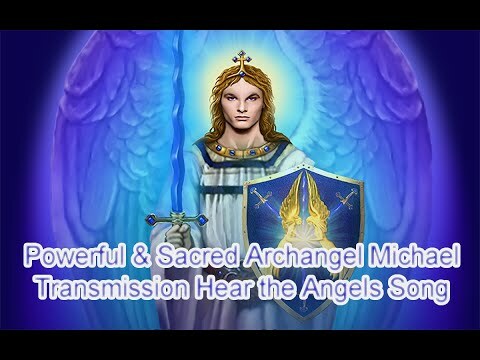 The star beings of Orion, Liora, the Sirians and Pleiadians, Galactic Federation, the Blue Ray and Rose Ray along with the Ascended Masters of Mother Mary, Jeshua and St. Germain are giving you upgraded codes of the ethereal light wave octave for the awakening of your I Am Presence. This contains frequency awakening for your physical secret chambers of the heart that will assist you to be in a greater universal galactic presence. They are saying there is an outpouring of the Cosmic Light Source of Love from the Great Central Sun and to receive Love, be Love as Love is a true, almighty, powerful and viable force that you will soon be able to use as fuel. The attraction and love for these beings are awakening you to what areas of Creation and frequency you have worked through before as ascended beings and are now able to access to be your true essence here and now. As the Sacred Divine Feminine Unity Matrix is coming online, there will be more octaves of light frequency available that can create a shift in resonance and interactions with friends, spiritual communities and the world. Some will shift more dramatically than others. As much re-patterning and rearranging is taking place for the new planetary frequency and stargate portals, allow for a flow and rhythm in your life in your interactions with others.13 Your online 5th-and 6th-Dimensional DNA galactic codes mean you may now use those resonance fields that are called miracles and the miraculous. Where there seemed no hope, and in particular what science may say is impossible, be open for divine evolution of your ascension crystalline New Body template to commune collectively with universal intelligence to create profound miracles. Many of you will be bursting at the energetic seams as these stargate portals are making neural cosmic pathways of expansion of your super superior sensory awareness and spiritual abilities, gifts and higher service. Some of you are wishing to step out of the frequency zone you are in, to leave and get out from where you are living. You are feeling something amazing and miraculous is on its way and occurring and you are ready and have waited a long time for it. A welcome message Shekina Rose! A circle representing the earth is 360 degrees, which breaks out as a star by dividing it by 5 to get five 72 degree segments. This is about a world between worlds. What we see is just the 1/7th tip of the iceberg of the battle between good and evil. Yes, I am a dualist, for me there is no excepting the good and the bad, I only am able to accept what is good and I suffer because of the bad, even if it does not directly effect me. These aliens, will destroy the mother of this world too, because a leopard does not change its spots, they act according to their natures. They destroyed their world, they will destroy our world too. The Children of Ohrmazda the Nephilum the blue giants who fell, the original creation from the good verses the Children of Ahrmiman the invaders who would have destroyed this world if it had not been for Ohrmazda asking for a truce with Ahriman that would last 9000 years. The battle between good and evil with man in the middle having free choice. The battle fought is in my dreams when I go to other worlds. But, the dark shadows are not able to give the night terrors now. Why do we cheer when good wins in the movies? We are part of the battle between good and evil, illusions deceive us? This message does inspire contemplation. I think my idea of paradise is different than what most people consider to be the ideal. So, in going through the portal what would we want to find. I would not want what is on this earth right now. It would be more like what James Cammeron depicted in his movie. Instead of machines, the interaction with the live creatures of nature would be a way of life. It would be a primitive way of living in a way, but it would be beautiful. The Tablets of Destiny were taken from Tiamat and Kingu when they were defeated by Marduk. The many myths about that era, the throne given up by Demuzi to Ra/Marduk, the end of the golden era. The end of the time when Orhmazda's children lived in peace. This posting was Fabulous!!!!!!!!!!! Thank you All. Yes, wonderful indeed - thanks! Blessings to you as well!